Boehringer Ingelheim is aiming to develop a new generation of cancer immunotherapies, using vaccines, cancer-killing viruses and cell therapies combined with its own checkpoint inhibitor to attack the disease. The company believes this approach will allow it to compete in the very crowded cancer immunotherapy field, with dozens of companies developing new treatments. The current leading immunotherapies are checkpoint inhibitors, Bristol-Myers Squibb’s Opdivo and Merck’s Keytruda, but Boehringer says it will develop its own alternative so it can gain control of pricing. Michel Pairet, who directs BI’s innovation unit, said in an interview that the therapies, which are still in the early stages of clinical development will be part of the next generation of immunotherapies. It looks unlikely that BI’s checkpoint inhibitor will be used as a monotherapy, instead being used as part of a combination therapy. 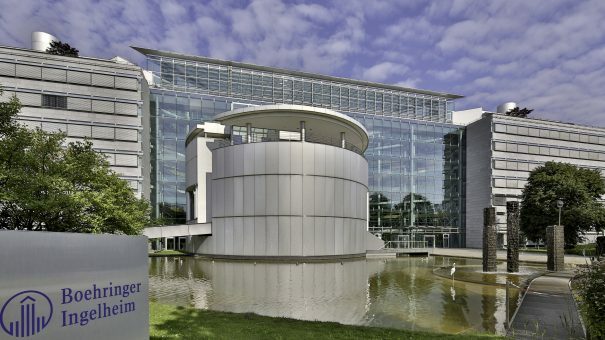 Pairet said in an interview on the sidelines of Boehringer’s annual results press conference that the checkpoint inhibitors could be used in combination with treatments developed by the company’s R&D partners. Boehringer is developing an anti- PD-1, BI 754091, and an anti- LAG 3, BI 754111 in combination with the Sarah Cannon Research Institute in a partnership that began in 2014. It has also signed a deal in 2014 with Curevac to develop and market an mRNA-based cancer vaccine, with development beginning in two different lung cancer treatments. Another option is to use viruses to target the cancer cells and inject them with genetic material, which can force them to display proteins making them visible to the immune system. It’s a similar technique to that being developed by BMS and its partner PsiOxus, and Amgen’s Imlygic (talimogene laherparepvec) oncolytic virus has already been approved in melanoma. CEO Hubertus von Baumbach also highlighted the importance of cancer immunotherapy to Boehringer. By trying to build up a complete immunotherapy portfolio on its own, Boehringer is taking a high risk strategy. This is especially as there are now four approved PD-1/PD-L1 checkpoint inhibitors, Roche’s Tecentriq and Merck KGaA and Pfizer’s Bavencio adding to Opdivo and Keytruda. Boehringer’s phase 1 trial of its PD-1, BI 754091, isn’t set to conclude until May 2019, putting it far behind the leaders. This means the company will depend on the appeal of its more novel agents, the vaccines and cell therapies, to mount a serious challenge in the market.